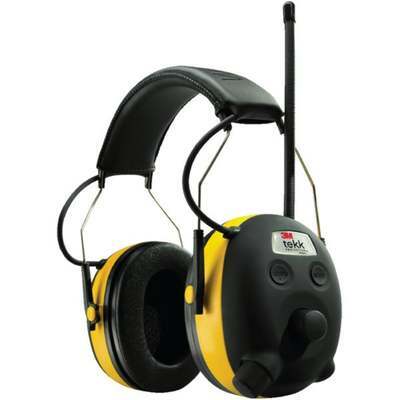 Tekk Worktunes hearing protector earmuff with AM/FM radio and stereo input jack to plug in MP3 players. Digital tuner. Lightweight and comfortable. Innovative decibel limiter. For use on construction sites, in workshop, or while mowing.